This lovely fille is called Sarah and she has the look of the saint honore girl, n'est pas? She is available from Tush Tush Etsy shop here. "Watch out! Watch out!" been giggling away about "Humphrey" remember him? 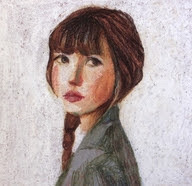 Thanks for sharing that lovely painting, I could find about half a dozen pictures on that site I would love to own. I loved all your lovlies. I think my favorite was the sweet bird house. Looks all warm and cozy. 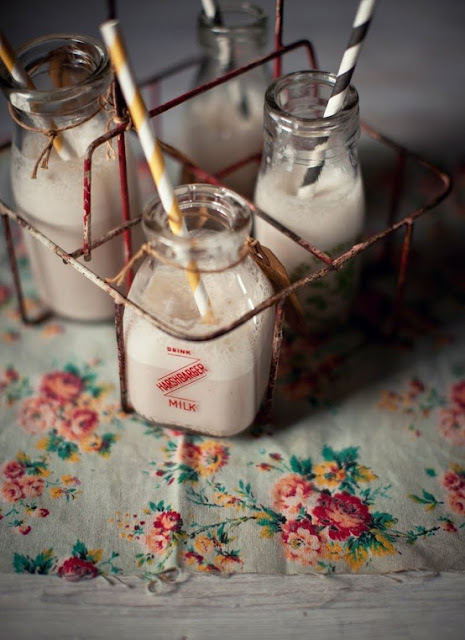 Love that bird house so cute, I had a milk shake with a paper straw and it tasted so good. Watch out, watch out, there's a Humphrey about ... not only do I remember I think I may still have the t-shirt somewhere! 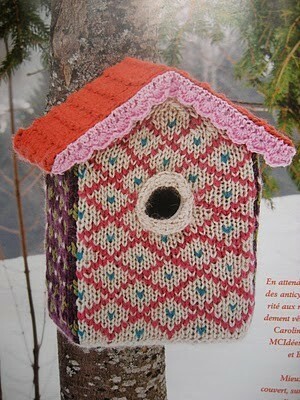 Love the knitted bird box, what fun! I have been popping over to you lovely space for a while now and I simply wanted to let you know how much I love your header picture: so pretty in composition and colour! I lived in Paris for a few years and when I set eyes on that first photo I felt my heart being squeezed a little. I adore Paris and had some of my happiest (and saddest) memories there. Also I have that very copy of Marie Claire Idées and thought about making that totally inpracticle birdhouse. Right, I'll stop rambling now. Such pretty and fun things! Such adorable images...that birdhouse it the sweetest thing I have seen in a long time....I want to be the lucky bird that lives in there. Hugs to you.